Queensland Labor are furiously promoting how many good things they’re doing in the State Budget. Including a huge pronouncement about road safety spending (click here). There’s one huge problem with their story. 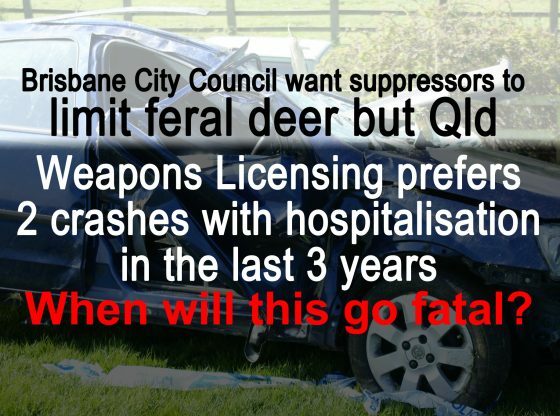 People are dying on our roads because of uncontrolled feral pests (click here). Local Councils have sought access to sound suppressors to get the feral pests under control and off roads (click here). Local Councils are consistently refused. Does Queensland Labor have road deaths on its hands?